Success demands that tasks be well defined and well executed. EC5™, our Task Execution and Communication Management solution, structures and simplifies the creation, planning, distribution and communication of training, projects, tasks, reviews, audits and surveys. Information flows only to employees who need it, when they need it, and how they need it, resulting in greater productivity, more consistent and timely execution and greater employee morale. 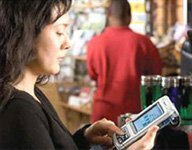 In addition to streamlining and improving communication across their enterprises, retailers have been very successful using our solution to ensure compliance with their corporate directives related to plan-o-gram management and item placement, loss prevention, merchandising, work safety, store standards, product recalls, new item promotions, and more. Some of the thought leading retailers are also using Task management for ecommerce to include order placement, fulfilment, and notifications. As competitive pressures increase the need for new offerings to attract and retain customers, task management becomes an integral part of assuring store execution on new programs including personal promotions delivered through beacon technology triggers, promotions targeted via social media or loyalty marketing based campaigns, or the activities that create great customer theater and an appreciation for fresh food merchandising – from demoing tree-ripened peaches to assuring fresh baguettes or bollio rolls are hot out of the oven at defined times to delight your guests. Our task management solution operates in either desktop or mobile environments allowing store personnel a fully flexible mobile platform for performing tasks, accessing training materials, and real time updates on the status of task compliance. Device integration is supported for temperature probes (for food safety compliance), camera (for authentication when needed), bar code readers, and any other devices needed to support task compliance. Logile worked with us to configure their solution to meet our unique business needs. As a result, our store health enthusiasts have found the solution to be easy to use, helpful in streamlining communication, and effective for planning and executing activities. Eliminates almost all email communication between corporate office and the field. Store Talk is a collaborative communication tool supporting inter-store and intra-store communications. As a part of Logile’s EC5™ module, Store Talk operates over defined “channels” of communication. One channel might be for a Store Director, Assistant Manager, and Department Managers at a store level to share business forecast updates and key communications over a secure channel. Another channel might support Produce Managers and Merchandisers across a district, or region, or chain collaborating on merchandising and local product procurement arrangements. Another channel might be for all bakery managers for a specific district to share details about their bakery departments and associate sharing. Messages are conveyed using a format similar to text or chat messages with the ability to follow conversational strings with attached videos and photos to share across the participants of that channel. 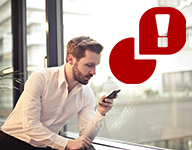 Consider one quick way that a store manager can text the latest sales outlook for the day to alert the management team to make appropriate adjustments. Or a Grocery channel that allows an evening Grocery associate to leave an update text regarding work completed or requiring attention when the next associate arrives. Or consider an inter-store channel where a store with excess inventory can find a sister store that can use the product to avoid shrink. Store Talk is web-based, and supported on almost any mobile or desktop devices. Store Talk is easily configured supporting unlimited channels for secured communication. Store Talk increases smart, proactive communication and expedites collaborative associate engagement. Management teams empowered with Store Talk can stay well informed and be better prepared to act on timely communications. 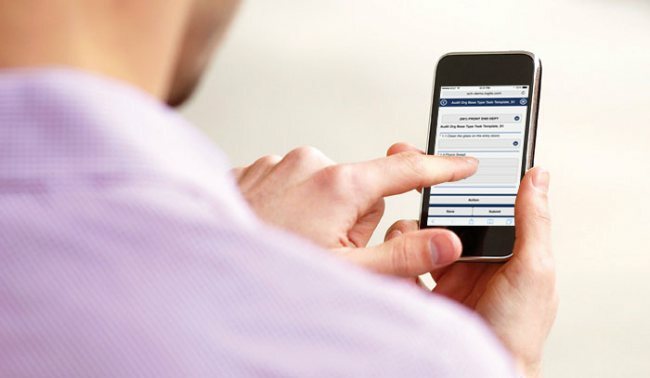 Allows users to interact with the system through a role specific dashboard accessed via computer web browser or on any Apple®, Android® or Windows Mobile® tablet or phone. Allows business leaders to create and manage all aspects of communication including the medium (text, attachments, audio, photos, and video), placement, size and publication effective dates, ensuring content is fresh, relevant, focused and action oriented. Allows recipients of messages and tasks to provide feedback as well as compliance metrics, including photos, bar codes and temperature probe readings. Provides powerful escalation and alerting capabilities, ensuring timely and near flawless execution of critical tasks, such as Class I product recalls. Uses engineered labor standards and store specific characteristics to show you the true cost, at all levels, of performing a task. Identifies when ad hoc tasks will overload stores based on existing employee schedules, and evaluates system recommended task deferment or rescheduling. Traditional task management offerings address the flow of communications and task directives from the corporate office to the store. Logile’s Incidence Management offering streamlines and structures necessary store to corporate communications and issues by allowing stores to create tasks/tickets for corporate counterparts that they need to interact with for structured processes. Organizations have used this process to streamline requests for maintenance and repairs, allowing the right resources to make the best decisions about whether to repair or replace the equipment in question. Incidence Management has also been an effective conduit for stores to report damage on loads, quality issues on product received, report excess inventory for redistribution, and to expedite customer product requests, customer accident reports, common area issues, employee injuries, and other communications that can only begin at the store level. Tickets received by the corporate owners can be grouped into like issues for faster resolution and store and corporate stakeholders always have a clear picture of the status of the issue and the current owner of the next step in the defined resolution path. The system can be accessed by third party providers if desired, such as distribution partners. With defined paths for reporting damage or poor quality merchandise, Incidence Management provides for the store side of effective supply chain execution management. Uses gatekeepers to approve communication and tasks – content, timing, audience, alerts, and escalation – prior to assignment across the chain. Allows tasks to be created and communicated by store and department managers for their employees. Integrates with popular social media like Facebook®, Twitter® and YouTube®.